Just what you need with your coffee or tea! 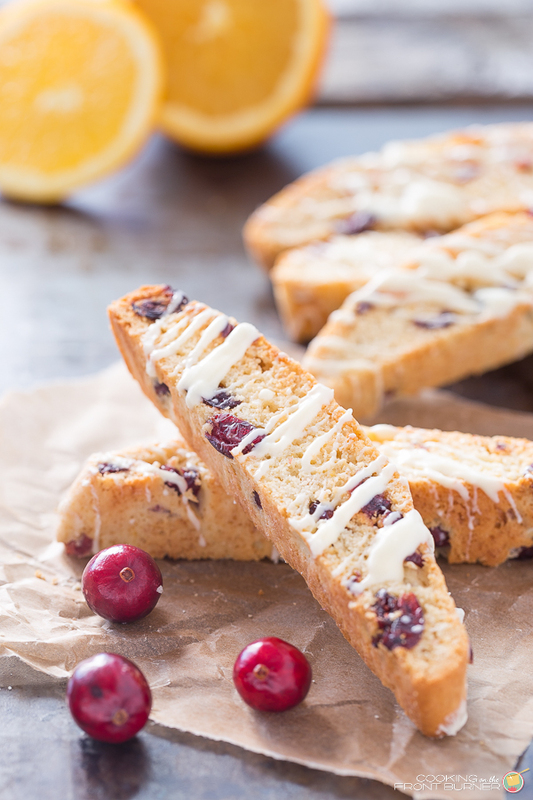 Enjoy these Orange Cranberry Biscotti today! Especially tasty with a drizzle of white chocolate. Oh boy, the holidays are in full force now – Thanksgiving is tomorrow and the countdown to Christmas begins. Lights, camera, action! I’m getting pretty excited and, I’m not sure about you, but I really need to get my head in gear and starting thinking of what to buy folks, decorate (but waiting until AFTER turkey day) and of course cooking/baking. 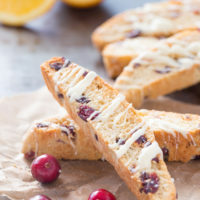 So as I’m making my list and checking it twice, I’m going to be snacking on these Orange Cranberry Biscotti. I love biscotti – they are crunchy and are great with coffee, tea or hot chocolate. Orange and cranberries go perfect together and note the drizzle of white chocolate (because everything is better with it!). 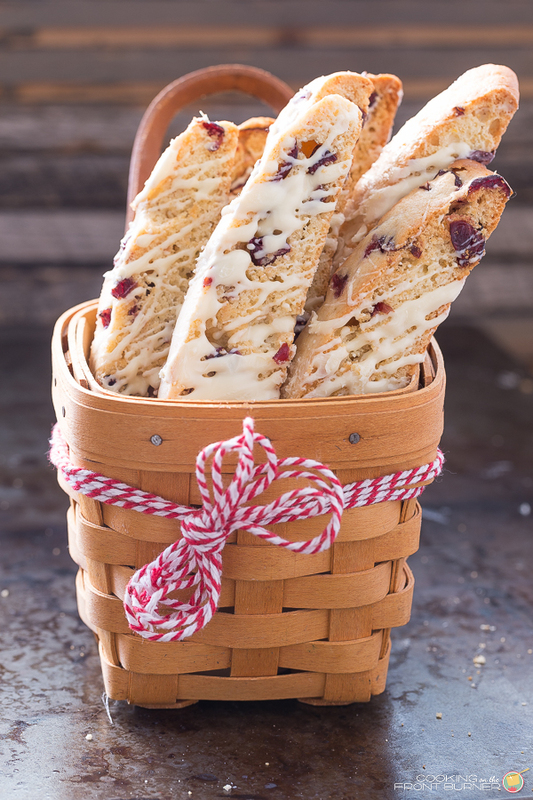 Keep biscotti on hand for your own enjoyment or invite a friend over to sit and relax during these busy times. 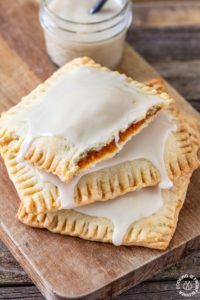 If you haven’t stopped by Your Homebased Mom this past month, be sure to do so where you will find this recipe and other posts during the 2015 Bake Craft Sew event. Whether you are a crafty person or want to become one, we can all use some ideas for the holidays, right? Another reason I am getting so excited is this year our granddaughter is over two and I think she will be having blast. It will be so fun to see her open presents and take in everything in through her eyes. She is currently loving Sophia the First and Frozen so I’m sure a gift along those lines will be in order. Now I hope she doesn’t wake us up too early – haha. This time of year too, you may be heading out to parties or other holiday events, biscotti would make a perfect hostess gift and perhaps include some tea bags, coffee or hot chocolate packets. I’m sure anyone would love to be the recipient of this tasty treat. 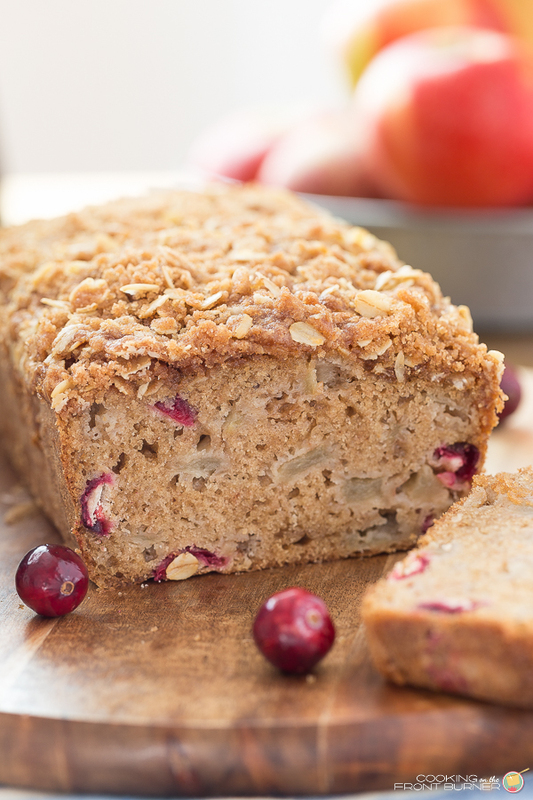 Other quick holiday breakfast goodies to have on hand (or for for gift giving)! I haven't been in the mood for sweets at all since Thanksgiving so I haven't done any Christmas baking yet. This biscotti is definitely helping to get me in the mood — I heart biscotti! I loooooove cranberry and orange together, Deb! 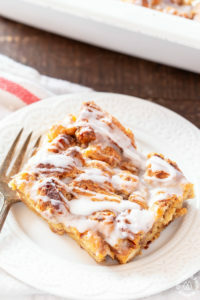 I have to make them for our goodie trays! 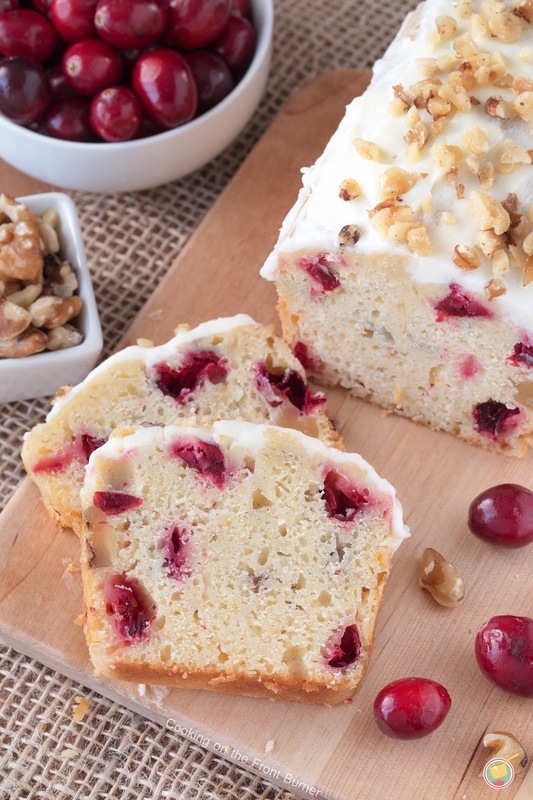 Cranberry and orange are such a lovely flavor pairing! I bet these biscotti would be perfect with a cup of tea. How fun that you get to celebrate with your granddaughter!! This biscotti looks out of this world!! Love the flavors of these! 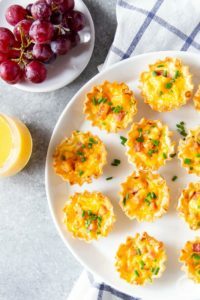 Perfect for breakfast and coffee! I so love a good homemade biscotti! 🙂 This one looks perfect for the holidays. What beautiful biscotti! 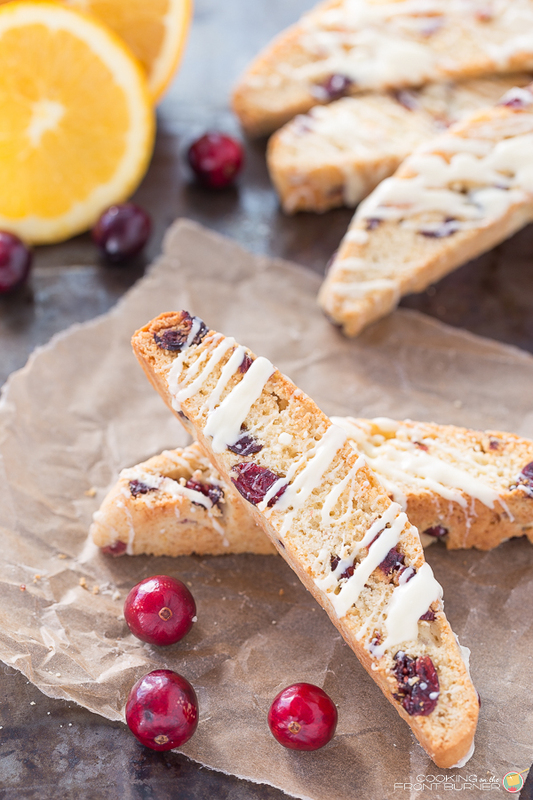 I always get so excited when someone gives me biscotti during the holidays – it's perfect for dipping into a cup of tea. 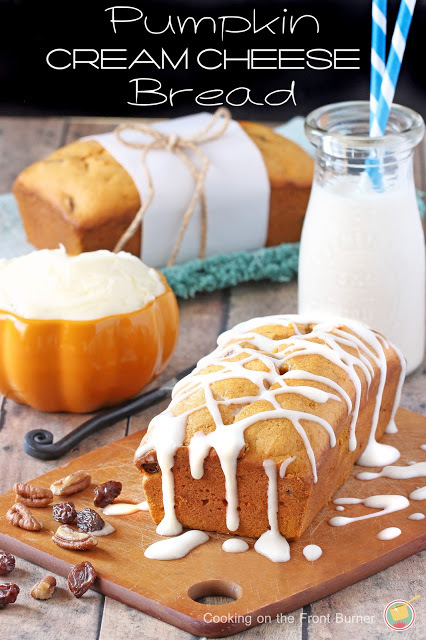 This looks amazing, Deb! Seriously – biscotti has never looked so good! Orange and Cranberry is one of my favorite holiday combos. 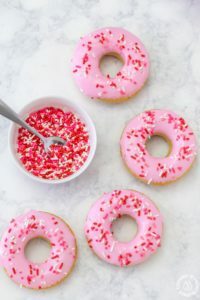 And I love the idea of dipping these into my nightly cuppa! Two of my favorite flavors in one of my favorite vehicles… love me some biscotti! YUM! Orange and cranberry is my favorite combination! It's so perfect together! Divide dough in half. Shape each half into a 12-by-2-inch log. Place logs on prepared baking sheet. Bake for 30 to 35 minutes or until toothpick inserted in the center comes out clean. Remove from oven and cool on baking sheets for 15 minutes.